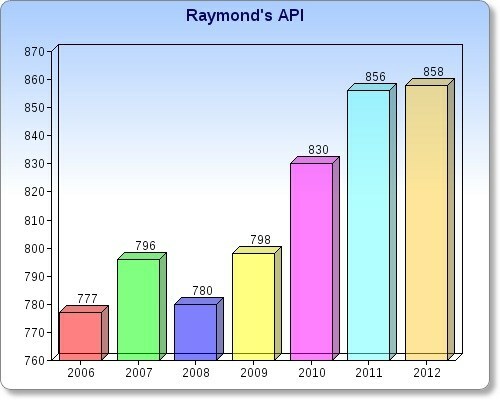 Based upon results of our annual California Standardized Tests (CST’s) administered to second through sixth grade students, this graph illustrates one measurement of Raymond’s commitment to learning. The state of California has set 800 as the performance goal. Our Raymond community is proud that we have exceeded this goal and continue to make steady progress!